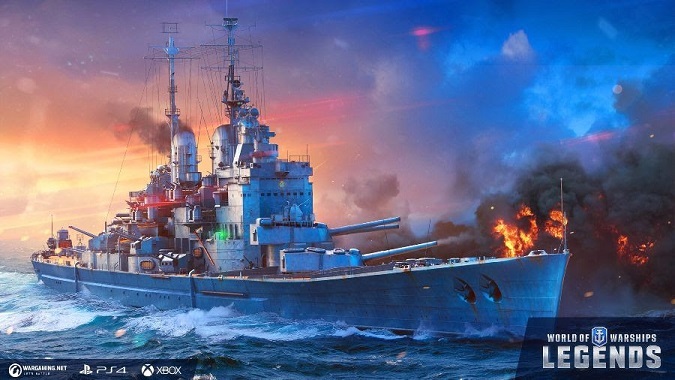 It’s time to set sail on the high C’s — if “C” stands for “Console” — as World of Warships: Legends is now available on the Xbox One and PlayStation 4 in its early access launch. More than just a conversion of the PC title, Legends is a re-imagining of the game, with faster battles, more options to develop your commanders, revamped UI and controls, and console-exclusive content. It’s the second console launch for Wargaming, following World of Tanks: Mercenaries, which Wargaming boasted having 18 million players for worldwide. World of Warships: Legends still has a ways to go to catch up with its PC cousin. The game currently has just five maps and seven tiers of ships, and aircraft carriers are absent, but they’ll be added in future updates, as well as 4K support for the PS4 Pro and Xbox One X. For now, you can get into the game for free on your console of choice — well, on PS4 at least, you’ll still need Xbox Live Gold for the XB1 — or learn more on the Legends website.